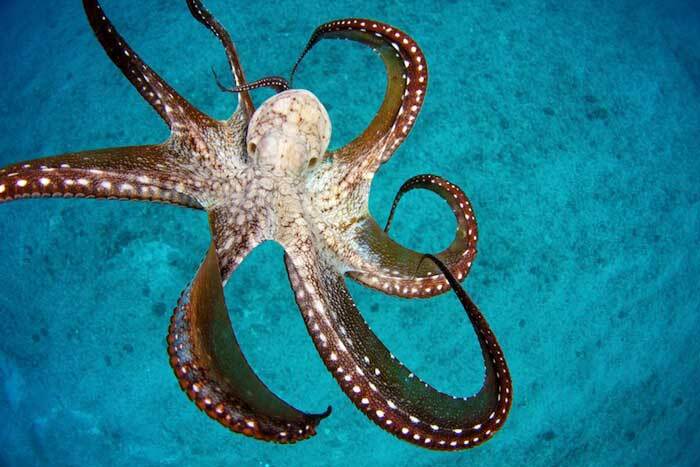 Female Octopus does eat their arms, not in a stressful situation, but while taking care of the unhatched eggs. It does so only for sustenance. The female Octopus does not hunt during the roughly one-month period while she is taking care of the unhatched eggs. This is the time she may ingest some of her own arms. While the eggs hatch the mother is too weak to defend herself from predators like cod, and it often succumbs to the attacks.